Obtain a Kentucky Hunting License at Curtsinger’s Sunrise Outfitters. In line with Kentucky Law, every hunter is required to renew their hunting license every year to ensure complete safety for all parties involved. A Kentucky Hunting License allows the license holder to take legal game species statewide by gun, bow, dog or falconry. Additional permits are needed in addition to the hunting license for certain game and migratory birds. Kentucky law also requires all hunters born on or after January 1, 1975 who are 12 or older to complete a hunter education course. For a complete list of available education courses and for more information about special permits and licenses, visit the Kentucky Department of Fish and Wildlife Resources website. 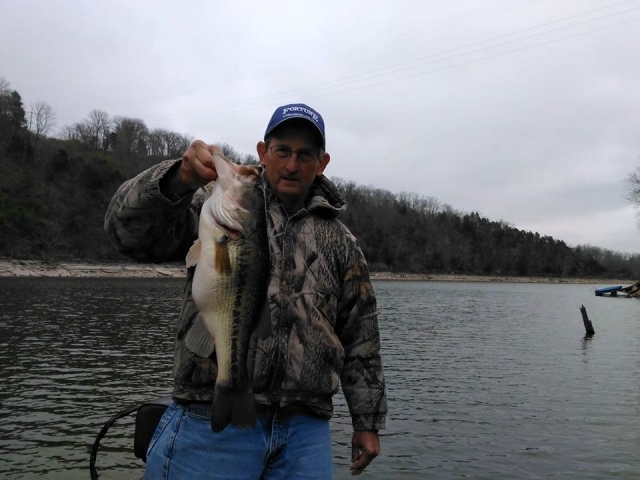 Like a hunting license, a Kentucky Fishing License is good for one year, beginning on March 1 and continuing to the end of February of the next year. A fishing license allows the license holder to take sport and rough fish statewide by rod and reel, pole or line, or other specified legal methods. A permit is also required for trout fishing. A Kentucky Fishing License is not required for anyone under the age of 16. For a complete list of rules and regulations regarding fishing in Kentucky, visit the Kentucky Department of Fish and Wildlife Resources website. With so much opportunity to enjoy the great outdoors in Kentucky, it is important to have a place to hone your skills. 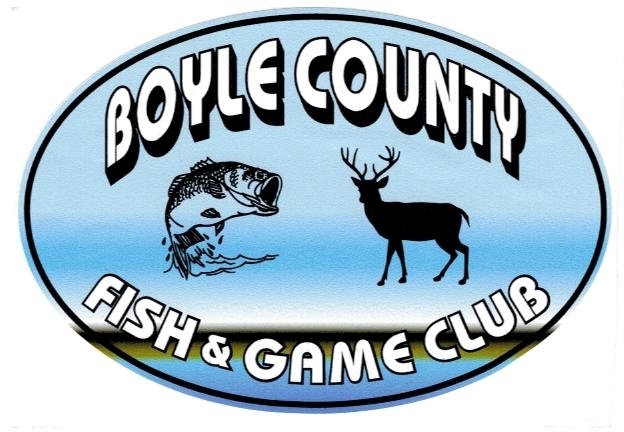 A Boyle County Fish and Game Club Membership will certainly give you the chance to practice. A 300-yard general purpose range will allow you to perfect your rifle, shotgun and pistol skills; a 25-yard pistol range will give you even more opportunity to advance your skills with a pistol (no rifle caliber pistols or shotguns allowed); and an archery range rounds out the shooting opportunities. All ranges are open every day from daylight to dusk. Members will also enjoy access to Lake Chumley, where you can practice your fishing skills or just relax by the water. Memberships include the holder, spouse and all children under the age of 18. 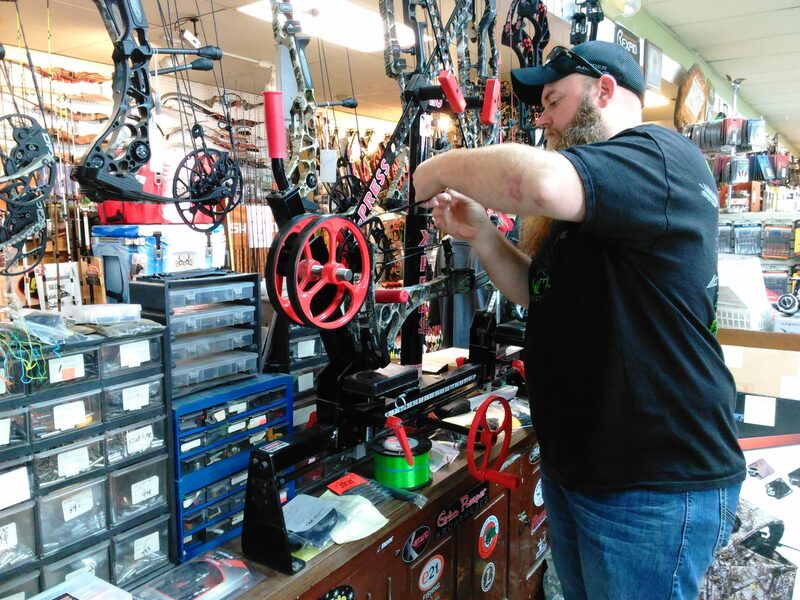 Fine tuning a bow is a major part of success and no matter if you are a seasoned veteran who just bought a new bow or you are getting your first bow ever, our professional staff at Curtsinger’s Sunrise Outfitters will make sure you are all set up and ready to hit the target. While bows may seem simple enough, they are actually made up of a series of intricate parts that require a fine touch to ensure precision. Regardless of your skill level, having a tuned bow is essential to not only maximizing your ability, but also your safety. Don’t leave it to chance; come in to Curtsinger’s to make sure your bow is set-up and tuned properly! Making sure your bow is set up to your specifications is only half the battle. What many people don’t realize, is it is just as important to have the correct size arrows. 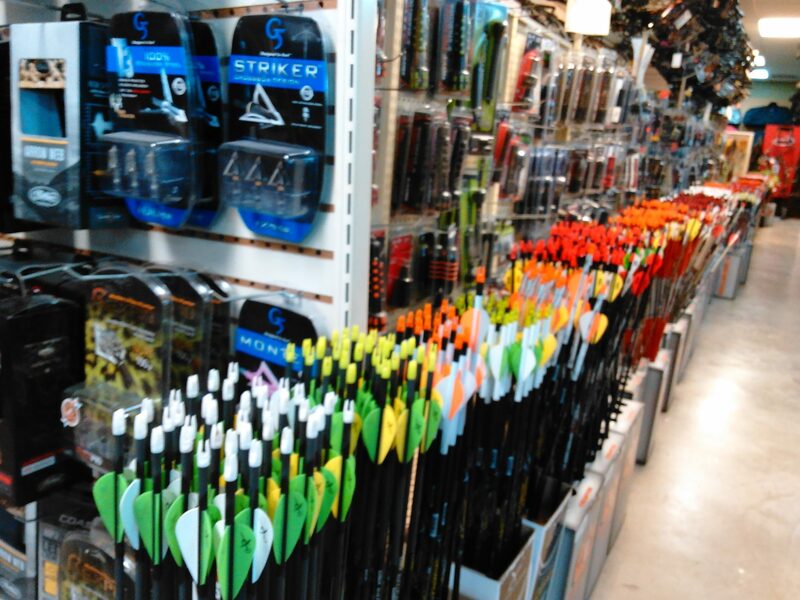 Our team of experts at Curtsinger’s can get your arrows to just the right size for you and have you hitting bulls-eyes in no time! Arrows that are too long or too short can have a dramatic impact on your performance. More importantly, they can also have a dramatic impact on the safety of your bow. You shouldn’t have to risk your safety or success because of poor equipment; the fix could be as easy as getting your arrows cut a little bit.